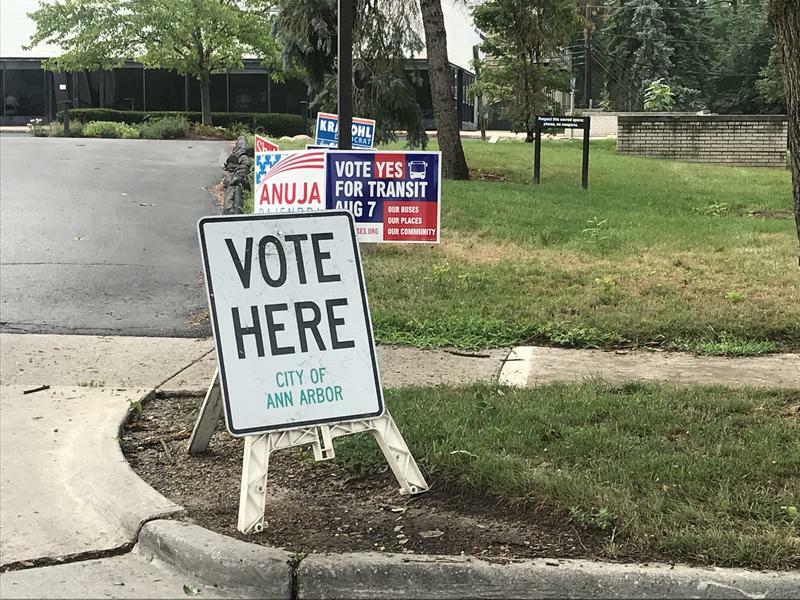 Along with the legalization of recreational marijuana use and efforts to end gerrymandering, Michigan voters will see a proposal thats aims to making voting easier on their ballot this November. In the final days leading up to election day two years ago, Tom Barrett, a Republican candidate for the 71st District in Eaton County, was knocking on doors when he met a voter he had a lot in common with. They got to talking about their shared military experience and after a while, the man said he wished he hadn't already voted for Barrett's opponent. 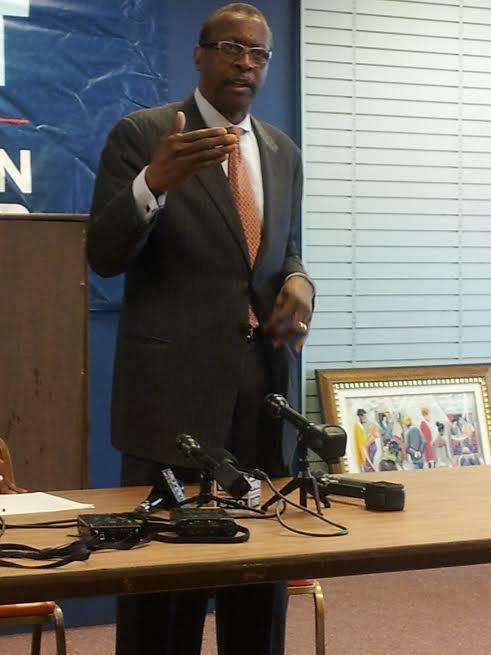 A Detroit activist has filed a lawsuit, asking a Wayne County judge to throw out absentee ballot results from Detroit’s election last week. Anita Belle is co-chair of the Committee for Voter Justice and a gubernatorial candidate for the Michigan Green Party. She was an election challenger at Detroit’s Cobo Center last Tuesday. Belle says per state election law and its manual for election officials, election workers are supposed to check ballot envelopes against absentee voter applications and precinct lists from the state’s Qualified Voter File before counting the votes. 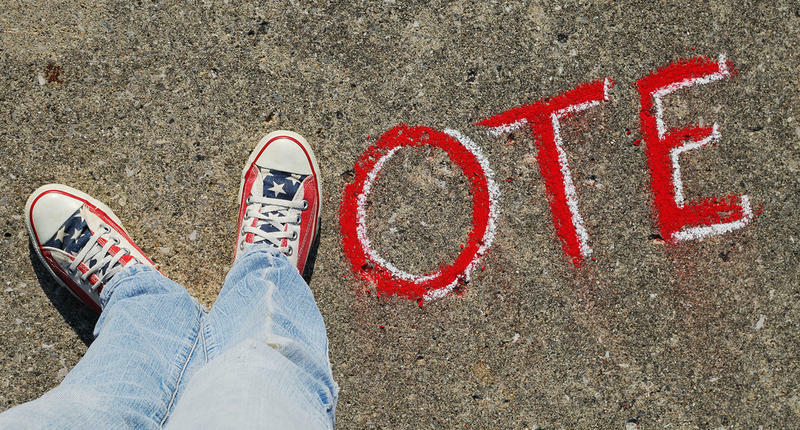 Political roundup: The battle over voting rights, and should 401(k)s replace teacher pensions? Stateside's conversation with former Republican representative Joe Haveman, and Vicki Barnett, former Mayor of Farmington Hills and a former Democratic legislator. Democrats in Lansing are seeking what they call a “Voting Bill of Rights.” That means no-reason absentee voting, early in-person voting, voter registration as late as 15 days before an election, and other things making it easier for people to vote. Republicans have, in the past, offered bills for stricter voter identification laws. 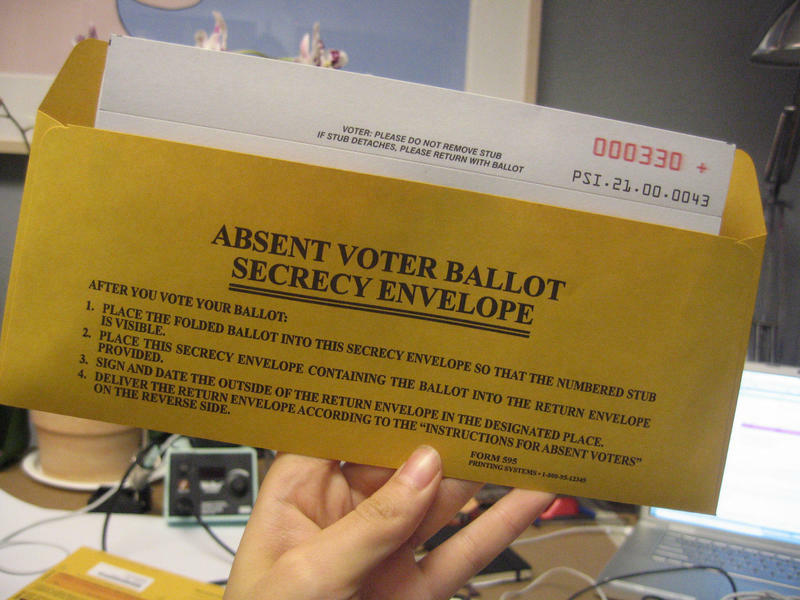 Lots of people have been surprised to learn that absentee voters in Michigan can change their ballots even if they've already cast them – as long as they do it by 4 p.m. on Monday. "The old ballot will be voided," said Michigan Secretary of State spokesman Fred Woodhams. "It will not be counted." Woodhams said absentee voters can request a re-do for any reason. But it's usually to correct a mistake, like voting for too many candidates or skipping portions of the ballot. "This is really an uncommon thing," Woodhams said. "But it does happen from time to time." The Michigan Democratic Party wants to make sure all voters who got absentee ballots turn them in on time. But some recipients have been confused. Several voters have called their county clerk's office to ask about postcards, which were only sent to absentee voters who have yet to mail their ballots in. Michigan Democratic Party spokesman Paul Kanan says the postcards were never meant to confuse anybody, but instead, to encourage them to vote on time. “We just want to make sure that everybody who wants to vote does vote and has their vote counted,” Kanan says. Republican presidential candidate Donald Trump claims there will be “large-scale voter fraud” this election. But election officials say they’re confident that will not be the case in Michigan. 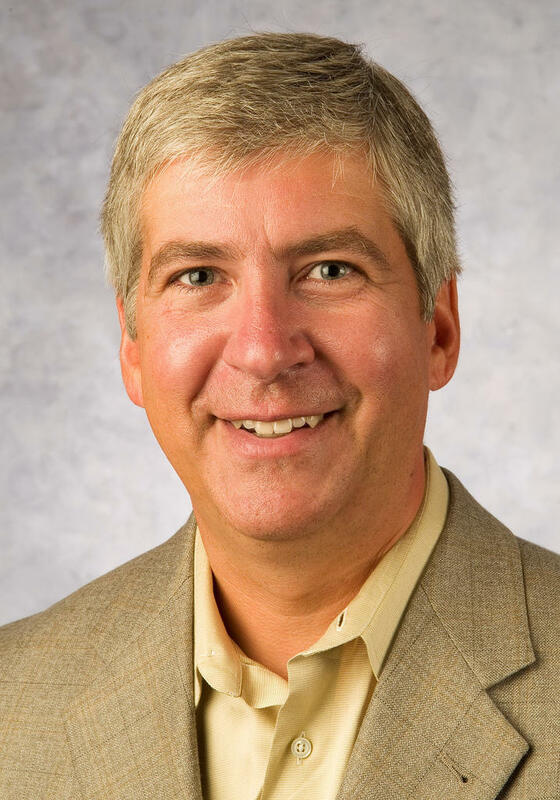 “We want to assure everyone, regardless of their political ideology or their partisan affiliation that their voice will be heard on election day and their voice will be counted,” said Fred Woodhams, a spokesman for Michigan’s Secretary of State. Woodhams says this isn’t the first election he’s fielded these concerns, and guesses it won’t be the last. There are 7,495,216 people registered to vote in Michigan in the 2016 presidential elections. That’s more than 40,000 more than were registered in the last presidential election, according the Secretary of State’s Office. There are more voters registered now than in 2008, the previous record. 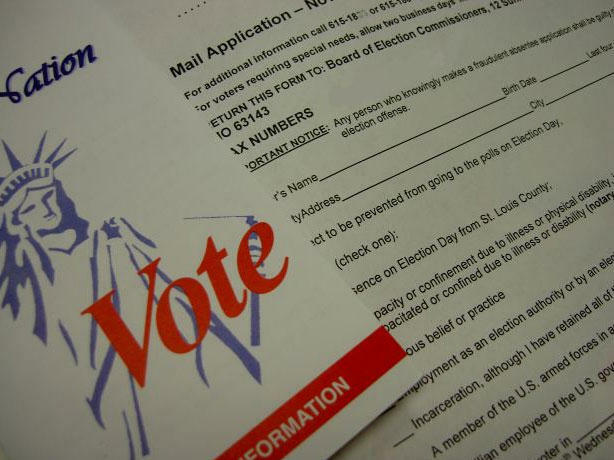 The deadline to register to vote in the November election was last week. Some of the biggest registration surges came from counties with a large college-age population; Washtenaw, Ingham, Isabella, Marquette, and Kalamazoo counties. 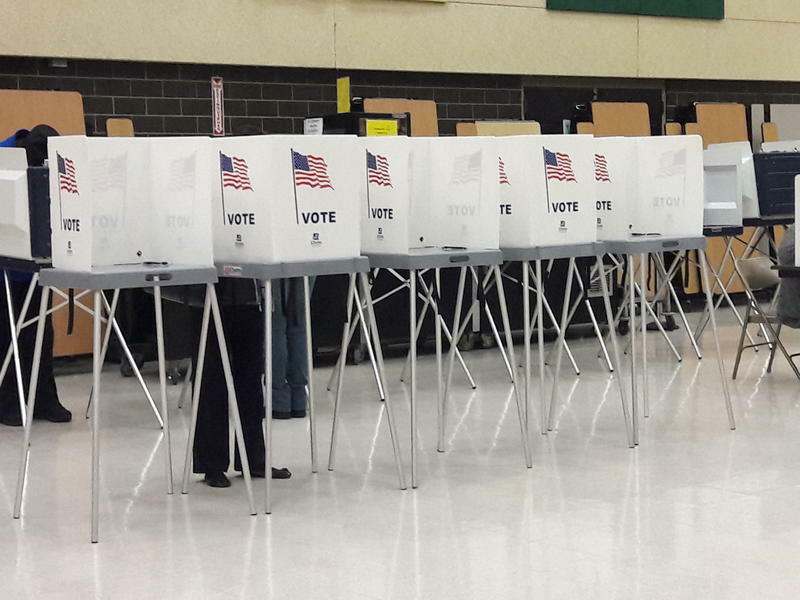 Just 1 in 5 Michigan voters cast a ballot Tuesday. While that doesn’t sound like a lot, it’s actually close to a record high turnout for this kind of primary. “There were a number of highly-contested congressional primaries across the state, so that helped drive interest,” says Fred Woodhams, spokesperson from the Michigan Secretary of State’s office. There’s a push in Congress to reverse some efforts to limit voter access to the polls. Michigan and other states have taken steps to limit early voting options and access to absentee ballots. U.S. 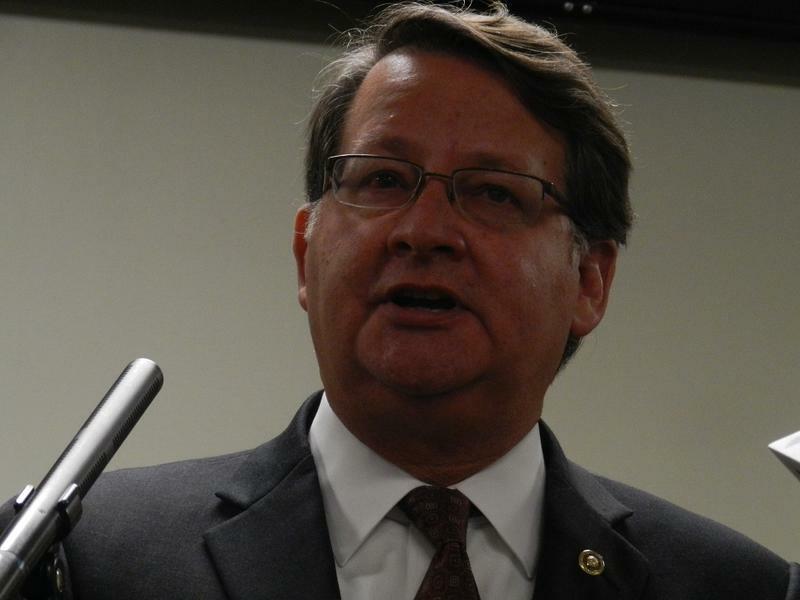 Senator Gary Peters (D-MI) says Congress should take steps to protect voter access. A bill to allow no-reason absentee voting in Michigan could have a tough time in the state Senate. The state House approved House Bill 4724 late Wednesday night. It also tied the bill to one eliminating the straight-ticket voting option on Michigan ballots. That means one bill can’t become law without the other. A state House committee has adopted a bill to eliminate the straight ticket voting option on election ballots. And the committee linked the measure’s future to a bill to make it easier to vote absentee. Republicans say it’s a compromise that will require voters to educate themselves about candidates. Local clerks and activists panned an effort to end straight-ticket voting in Michigan at a state House hearing on Thursday. Voters would no longer be able to fill in one bubble to vote for every candidate representing a single political party on the ballot. Clerks say the change would make lines and wait times longer on Election Day. State lawmakers could make big changes to voting laws before the end of the year. 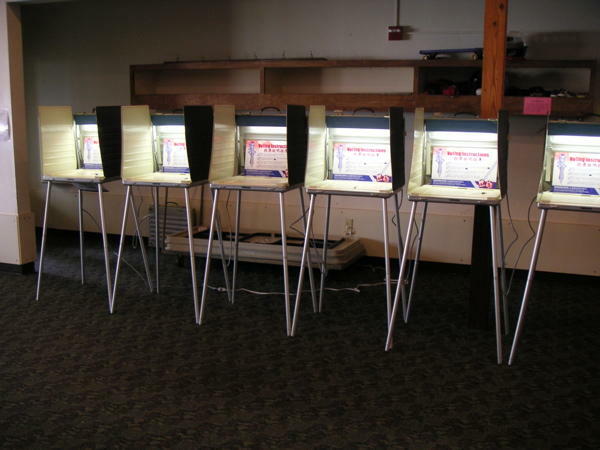 A state House panel on Wednesday approved no-reason absentee voting in Michigan. 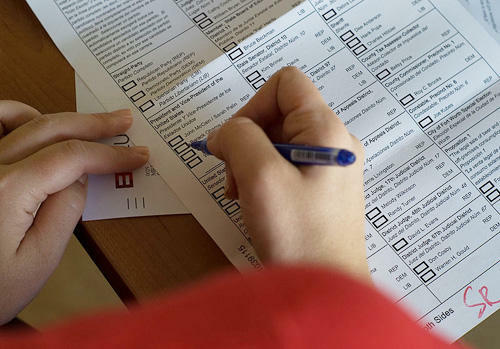 People would no longer need to meet criteria to mail in their ballots before Election Day. 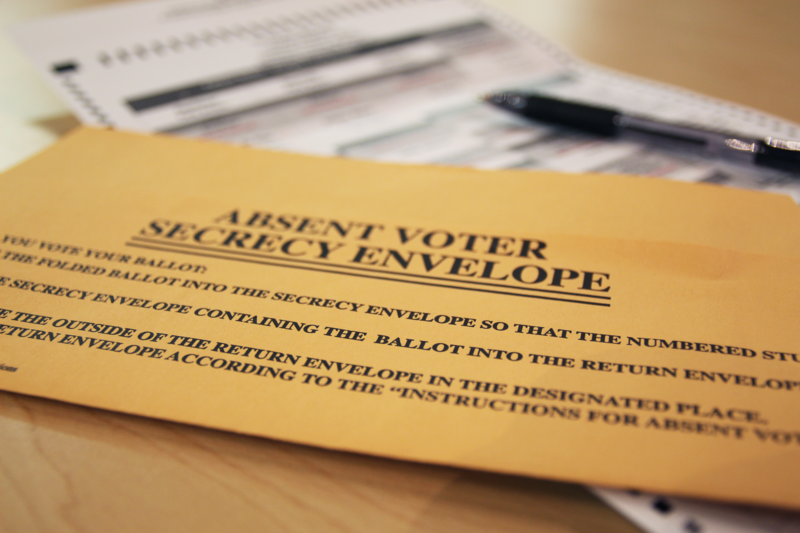 Time’s running out faster than you may think to mail an absentee ballot for next week’s election. 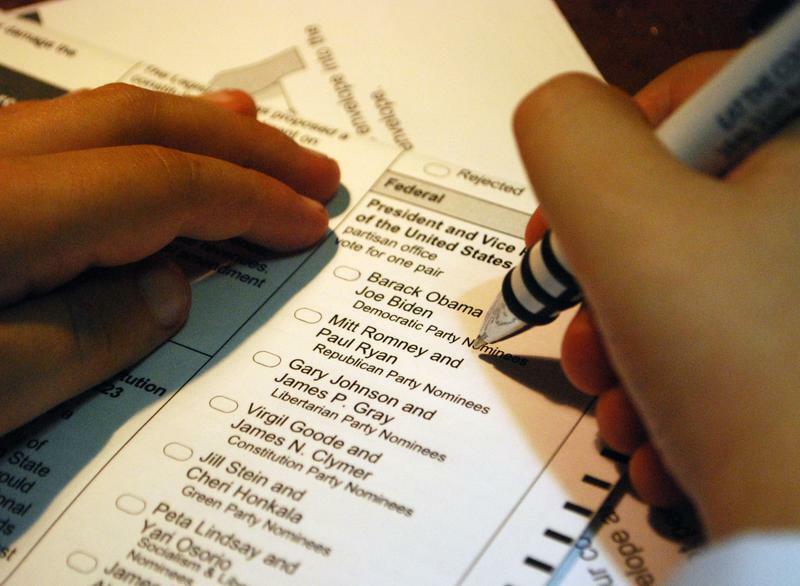 Roughly half of the votes in some of next week’s elections are predicted to be cast absentee. But some absentee votes won’t be counted. Lansing city clerk Chris Swope says changes in the way the post office processes the mail is adding a day to the delivery of absentee ballots. Republicans in the state Senate have put a damper on a legislative effort to allow no-reason absentee voting in Michigan. A Republican-sponsored bill in the state House seems to have wide bipartisan support. But if the House approves the bill, it appears it won’t go any farther. 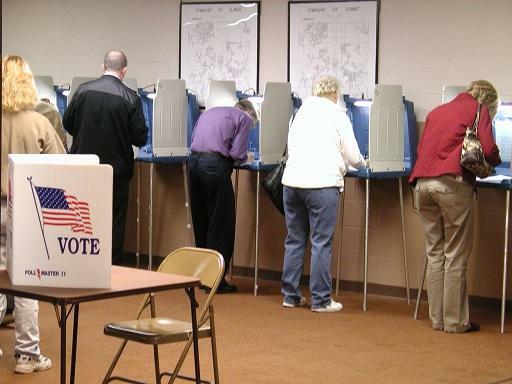 A plan to allow no-reason absentee voting in Michigan is gaining significant support from Republicans. Unlike Michigan, most states no longer set conditions for voting absentee. 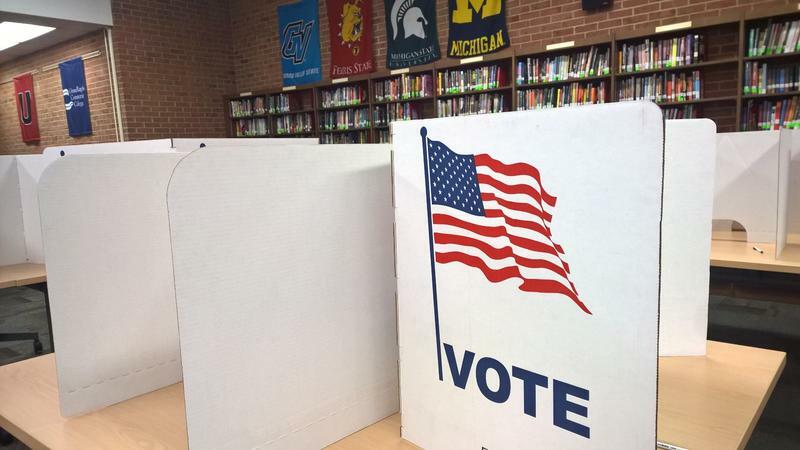 Democratic state lawmakers are again hoping to allow no-reason absentee voting in Michigan. 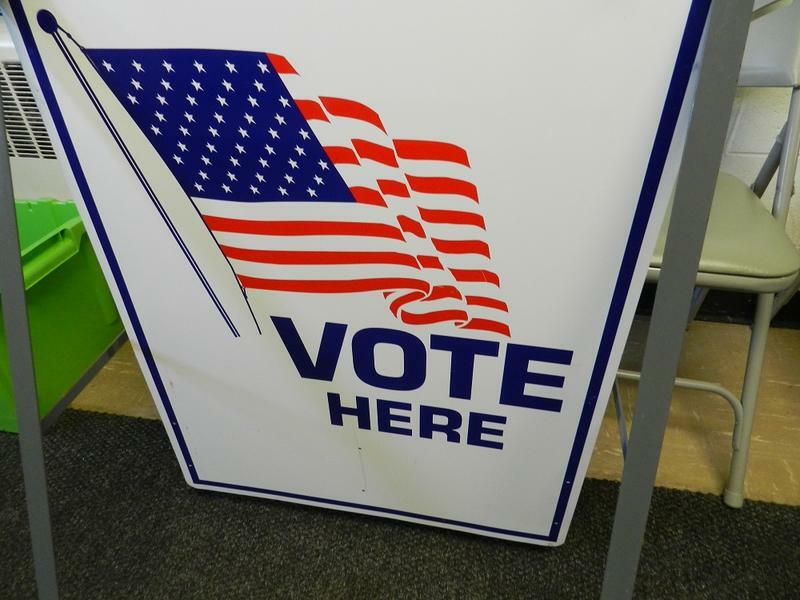 Michigan Secretary of State Ruth Johnson has said recently that more people who have died or moved out of state must be removed from the state’s voter registration database before lawmakers will agree to stop putting conditions on who can vote absentee.